Founded by architects Mauro Cazzaro and Antonella Maione, the design studio Kanz is a place of central creativity, a place for like-minded people to get together and develop amazing products and designs. The studio is located in Venice, Italy. The new series to come out of Kanz is the Hands on Design porcelain kitchenware range that was manufactured by Risogama from Arita, Japan. 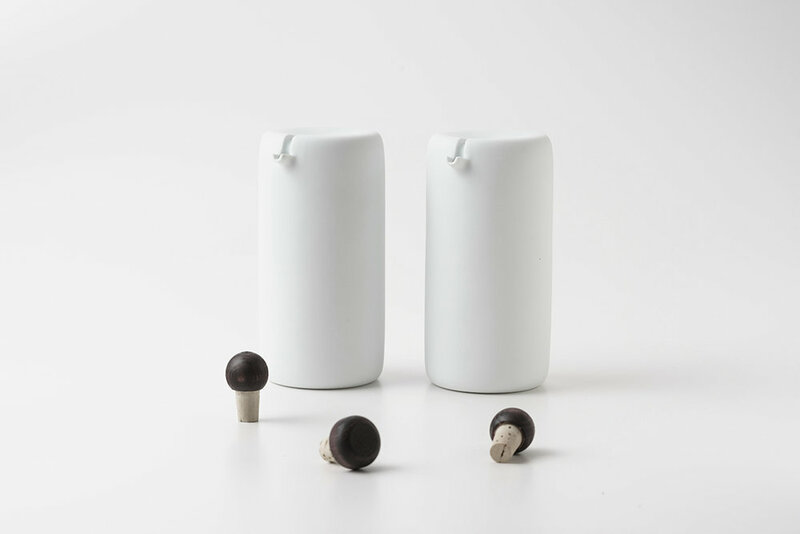 The series is called Bombette, which apparently are named after the circular shapes and rounded edges of each piece. 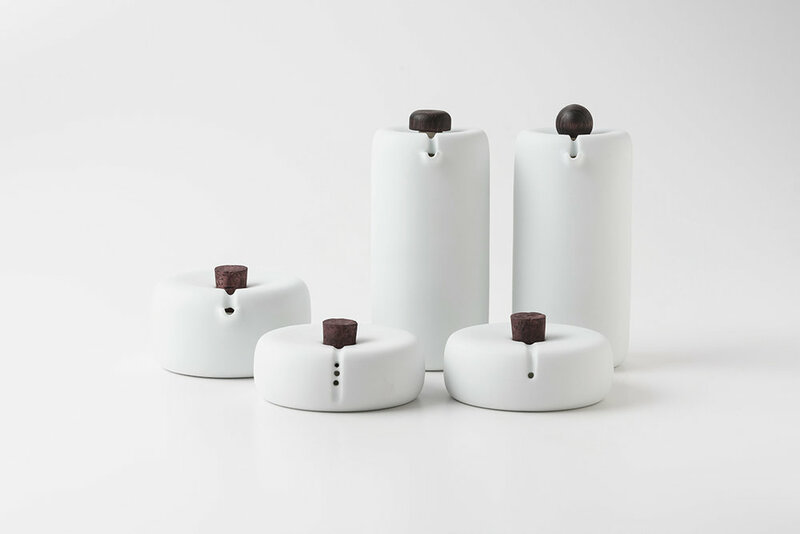 Each piece can quite easily stand alone as a delicate yet solid piece of architectural design for the home. 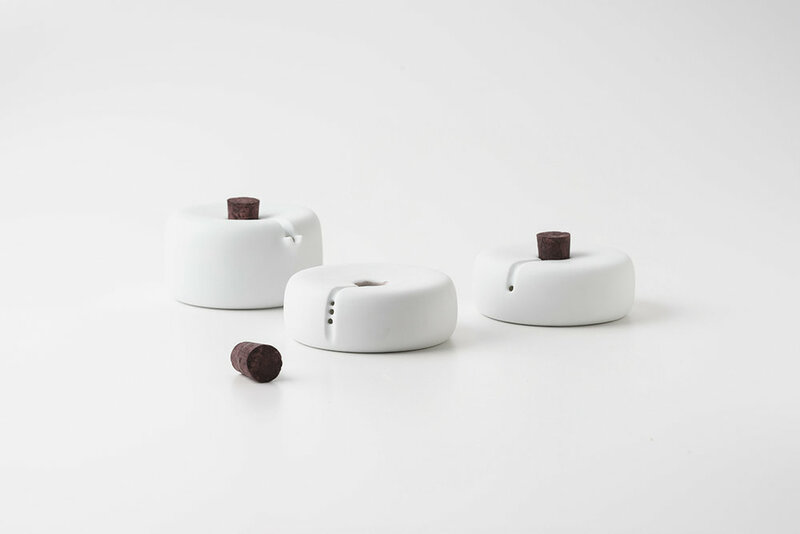 The spice containers have been designed with small openings on the side while the containers that have been designed to hold liquids have a cantilevered mouthpiece. Each piece, once together as a series, all show distinct similarity and unison across their aesthetics and design. Each piece has been tied together by the use of a wooden cap and a simple slit that leads to the unique features within each piece. The really interesting feature within each piece is the slightly indented top that the wooden cap sits within. This offers an illusion of weight that the caps bring in the centre of the soft, delicate white frames. The smooth texture and cool surfaces allow the user to enjoy and admire the collection as a whole.